The High Court (HC) on Monday asked the authorities concerned to provide salary to the government primary school headmasters under grade-10. The HC bench comprising of Justice Naima Haider and Justice Khizir Ahmed Choudhury passed the order. After passing the order, the HC bench also asked the government to implement it with retrospective effective from March 9, 2014 for all trained and untrained teachers. Advocate Salauddin Dolon who stood for the petitioner said Prime Minister Sheikh Hasina elevated the job of headmasters to class-II on March 9, 2014 and the Primary and Mass Education Ministry issued a gazette notification on the same day over it. The Education Ministry provides salary to the headmasters of primary schools under grade-11 (those trained) and grade-12 (untrained) although it gives salary to other class-II employees under garade-10. 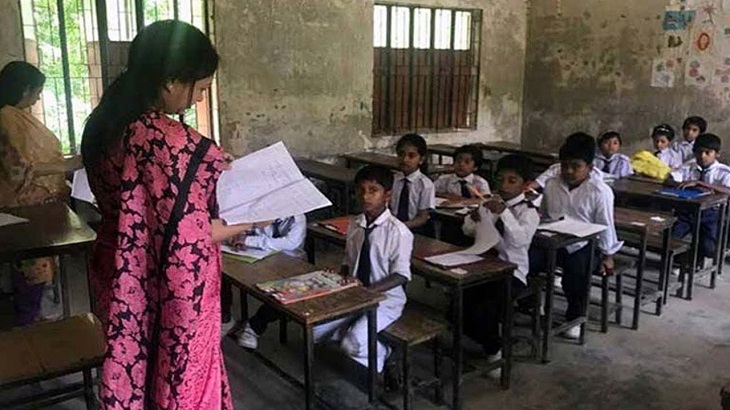 Later, 45 teachers, including Rias Pervez, president of Bangladesh Govt Primary Headmasters' Association, filed a writ with the High Court challenging the legality of the government decision.